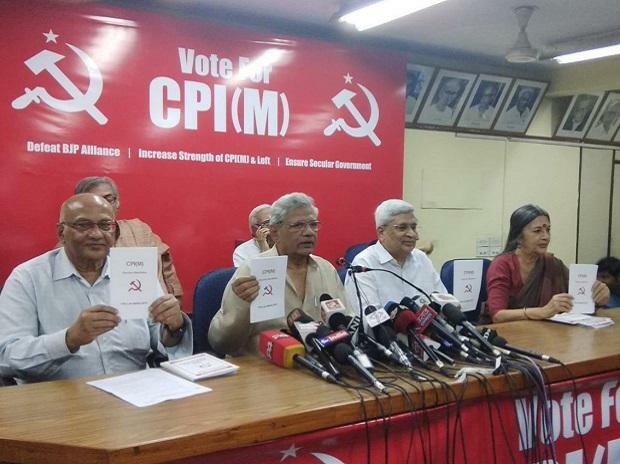 The CPI(M) on Thursday proposed stoppage of mass surveillance, statutory minimum wage of not less than Rs 18,000 per month and curbing monopolies over telecom and internet service platforms in its manifesto for the coming Lok Sabha elections. In the declaration, the party has proposed alternative policy platform under which it called for protection of the secular principle and democratic rights enshrined in the Constitution and enforcement of farmers' right to sell their produce at minimum support price. It also proposed statutory minimum wage of not less than Rs 18,000 per month, universal Public Distribution System with 35 kg of food grains per family, rise in taxes of rich, restoration of inheritance tax and old age pension of Rs 6,000 per month.